I don't know how it clicked me to post my stationary box today. But I'm glad it did. Last year, the stationary box was much smaller than this year's. I promise the size won't increase next year! I have used a bigger container this time. My dad used this container while his 2 years stay in China. While coming back, he carried it with him. As soon as I saw it, I fell in love with it, and used it as my new Stationary Box. This is the stuff inside. The stuff is so much, that I can't even close the container. I keep this box in my computer table's CPU compartment. 1. Stick Notes | I took out all the stick notes from the Stick Notes Box and kept them here. Two of them are on my PC table, and rest all are here. Now I keep my accessories in that Stick Notes Box. 2. Stencil of Map of India | I don't want to throw this. It was my brother's when he was in Standard 10th. 9. 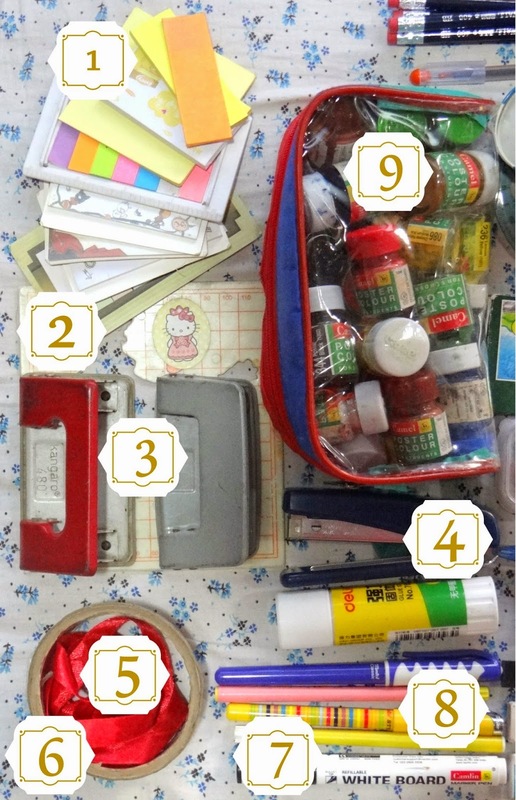 Pouch of Water Colours | I might take out the pouch and empty its contents, and then give it to mom. She needs a pouch and I need extra space in this box. 10. 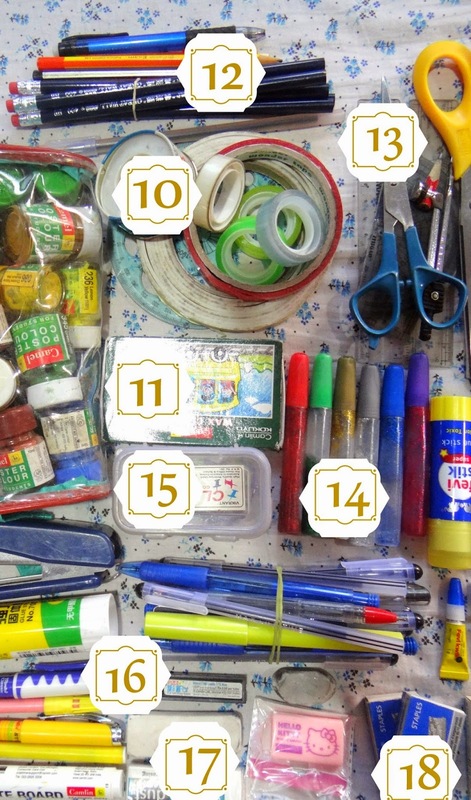 Different Types of Cello Tapes | I have so many of 'em! 20. 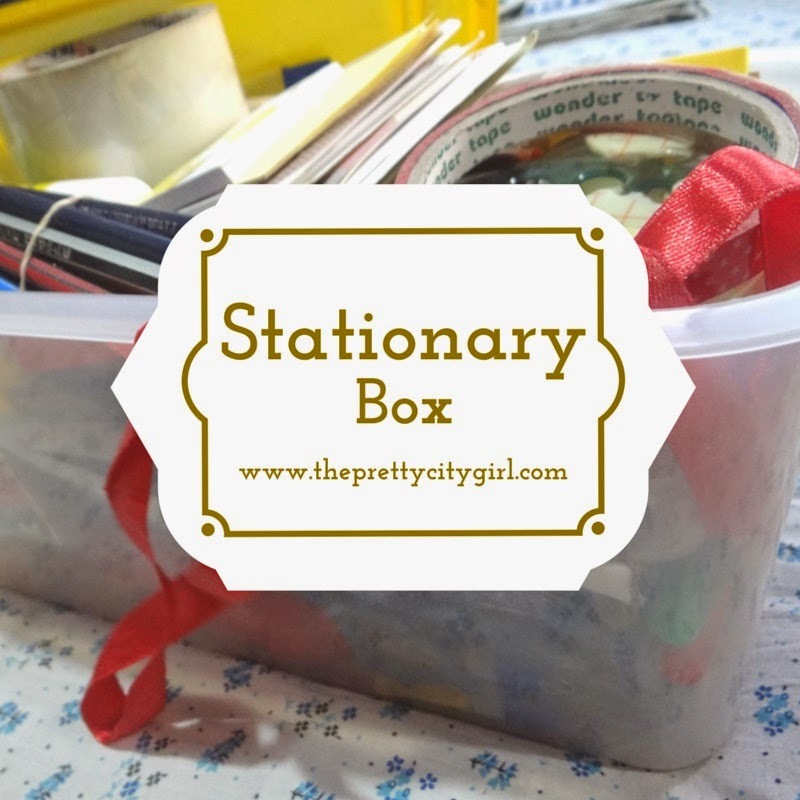 Index Cards (Box) and Elastic Bands | Index Cards are over, and I have to make them. I hope you guys remember how to make index cards at home. 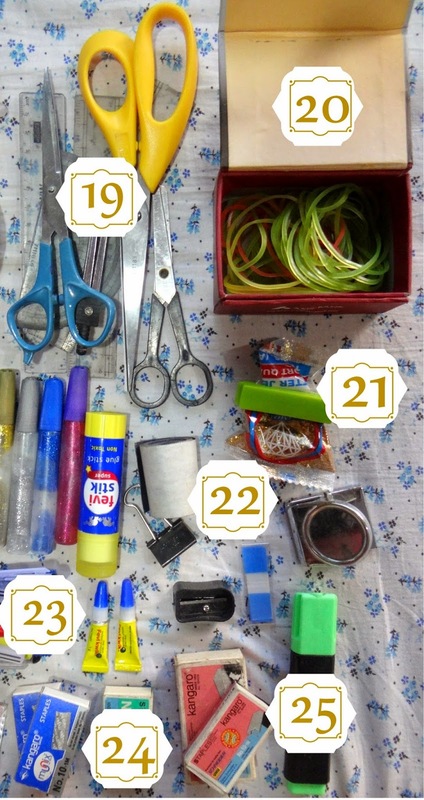 And don't forget to check my best friend's way of making them. 21. Golden Glitter | Our partner for the DIY Glitter Image for my room's wall.